Meimi 132 reports that various lobster models are on display at the seaside British town of Cromer. Apparently creating such things is a local tradition. 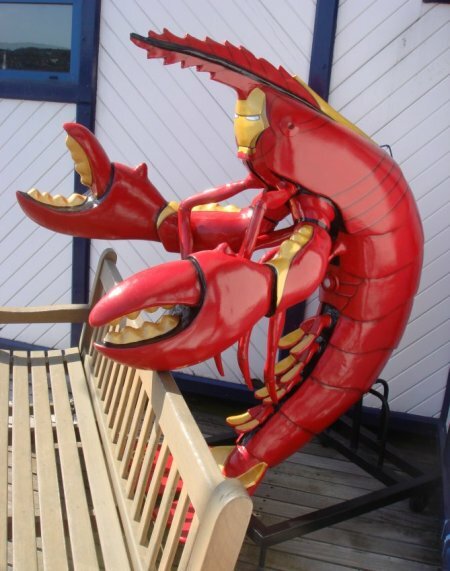 There are more pictures of the Iron Man lobster and an Avatar lobster here.